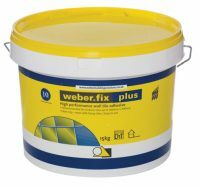 At Atlas Ceramics we stock a wide range of products to help you complete tiling tasks with ease. 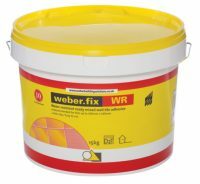 Below we have a large range of Weber Premixed Adhesive Tubs providing adhesive solutions for a variety of walls tiles. 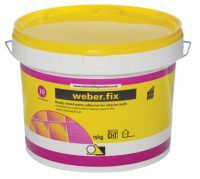 With products like weber.fix plus you can find adhesive that is perfect for interior walls, boasting non slip qualities even with larger or heavier wall tiles. 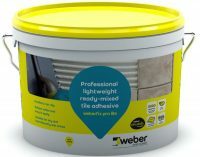 Ideal for bathrooms, kitchens and domestic showers you can apply your new wall tiles with complete confidence with ready-mixed ceramic wall tile adhesives.